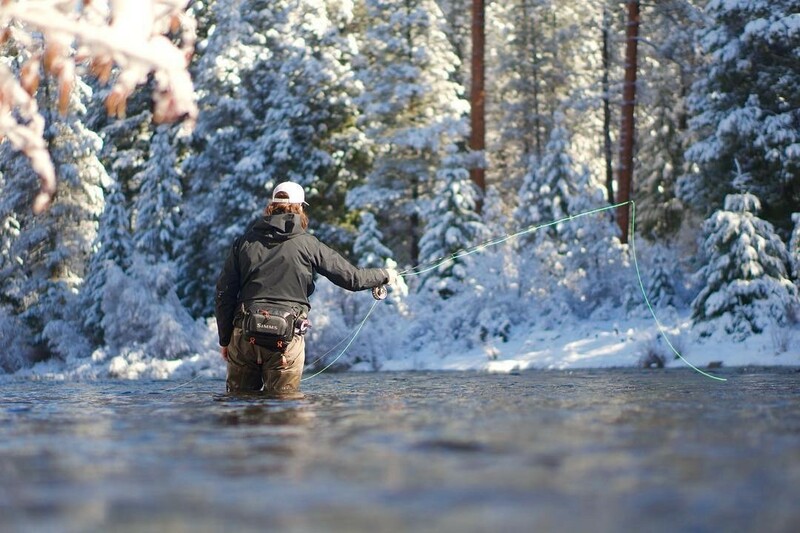 @oregononthefly and @the_nomadic_fly Winter trout fishing at its best: sun on the water and snow on the banks. Tag @sourceweekly and show up in Lightmeter! Bend City Council has declared the Arts, Beautification & Culture Commission of Bend inactive. As past Chairpersons of this hard working commission we want to say that we are very disappointed in this decision. The ABC Commission started in 2002 with a vision toward encouraging the arts, beautifying our city, and revering past, present, and future culture. Several hundred citizens have volunteered their time and expertise advising the city council and staff on art & culture issues. Historically, we had a zero budget and many expenses were paid for by the members of the commission themselves. It is discouraging that a city the size of Bend cannot commit to including even a modicum of staffing support in the budget. Most cities the size of Bend have a funded arts commission where most decisions of public art are dealt with. * Murals: now allowed to be painted in the Makers District. Here's hoping one day in the future the Council will again see value for the commission and some creative citizens will revive the Arts, Beautification & Culture Commission. Our heartfelt gratitude goes to our devoted past ABC Commissioners and to the City Councilors who supported our efforts. Thank you to all of the artists, musicians, photographers and enthusiasts. Bend is beautiful and we all can continue to uplift the arts and culture in our community. Ester Iscke's letter last week resorted to name calling. "Idiot" and "dumbass" are not the type of words used to form a compelling point of view. While I neither agreed nor disagreed with the gist of the letter I couldn't help but think that there has to be a better way to make a point. Name calling makes this section of the Source less of an exchange of ideas and more of an internet rant. It brings the level of discourse down to the lowest common denominator. Come on folks - we're better than that! Instead of name calling why not make a cognizant, compelling argument and let the reader make their own decision about the opinion writer's intellect. Change begins close to home. If we want to really "make America great again" let's start by being thoughtful and displaying some respect when voicing our opinions and stop the written shouting matches. My name is Evan Melner I am a 13 year old at Bend International School. I believe deeply that children should be able to have a safe place to learn without violence. Children should be able to go to school, not having to worry about gun violence and school shootings. Gun violence is a serious issue for schools. The way to stop school shootings is to apply universal background checks and ban assault rifles from being made in the United States. This is an issue that is not only important to me but to other schools as well. Universal background checks are a necessary element to stopping these traumatizing school shootings. One way universal background checks contribute to stopping school shootings is because the school shooters would not be able to purchase automatic firearms if they had been previously convicted of a crime. For example, if the Parkland shooter would have had a background check lives would be saved and that school shooting would not have taken place. Bans on assault rifles is also a very necessary factor in stopping gun violence, particularly school shootings. If the government puts a ban on assault weapons we will save countless numbers of lives from being taken. I'm asking Senators, Democrats, Republicans and Congressmen to step up and save the lives of our children and teachers, this can happen only by applying bans to assault weapons and background checks to anyone who wants to purchase a gun assault weapons. I am prepared to fight for this cause and I hope you will too. Are Bendites as nice as they think? I've seen a few of the "Be nice you're in Bend" bumper stickers and I assumed it is speaking to the thousands of visitors that swarm our home town each year. But after getting lost in the Tumalo Irrigation Historic Canal area and trying to get a lift on Cline Falls road, I think a better bumper sticker is "Be nice, you're from Bend". It was my third time hiking with dog in Tumalo Historic district and I was determined not to get lost for what would be my third time. I don't know if it's the lack of trail markers or its just my famously poor sense of direction, but no matter how hard I try not to, I always get lost. This time I warned my hiking companion about my history and we were especially careful. But two hours later we found ourselves and our two dogs somewhere on Cline Falls road. Realizing we were probably a good 2-3 miles from our car, and it started to rain, we decided to try and get a lift while we trekked back. This is where it gets interesting. My friend hung back while I got on the road and tried to wave down a car. I will describe myself for you to get the full picture. I'm a mature (old enough not to want to give my exact age) petite woman who was wearing hiking pants, purple jacket and a baseball cap. Definitely not a threatening type. I must have waved down close to 10 cars before one finally stopped. In the car was a young, delightful couple and they offered us and the two dogs a lift to our car. As it turned out, our saviors had just moved to Bend recently... from Los Angeles. This got me thinking. Maybe our newest residents, even from California, may be nicer than us old time curmudgeons. Caryn: Rescuing angels who are also Angelenos, huh? Seems legit. Come on on in for your gift card to Palate!